There are many fabulous successful British Beauty Brands from the nicheness of Penthalligons, to the quirkiness of Cow Shed to the ever on trend Rimmel London, however one brand which to me evokes a sense of true British quality and heritage, is Jo Malone. Founded in 1994 by Jo Malone, the lady herself created a handful of revolutionary scents which went on to become an international phenomenon which is associated with all that is most coveted in British Style. The collections of this stunning brand have developed over time with more and more fragrances being added to the portfolio of products, the most recent being the outdoorsy Wood Sage and Sea Salt. With the beautiful Pomegranate Noir being one of the brands heros, and often reinvented with an innovative twist at key selling periods, it is understandable why this is one of the best sellers, however to me, the true shining star of this amazing brand is Peony and Blush Suede. the ingredients, which in addition to those in the description, include red apple, jasmine and gillyflower, making the fragrance smell expensive and luxurious. All of the variations in the Jo Malone portfolio are beautiful in creation, and there is at least one to suit everybody, Peony and Blush Suede really is the ultimate! 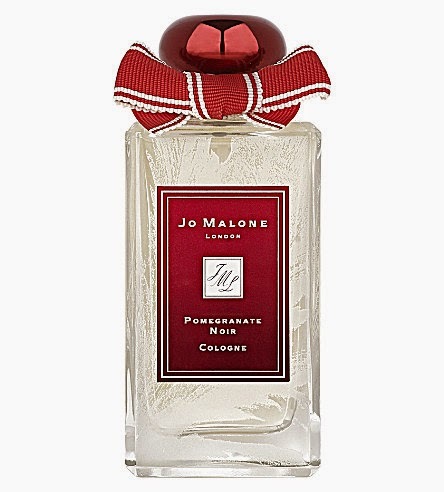 Let's hope that Jo Malone extend this wonderful scent beyond the Cologne and Candle! Design + Development by Carrie Loves Design Studio.